We have been building custom cleaning equipment for years. 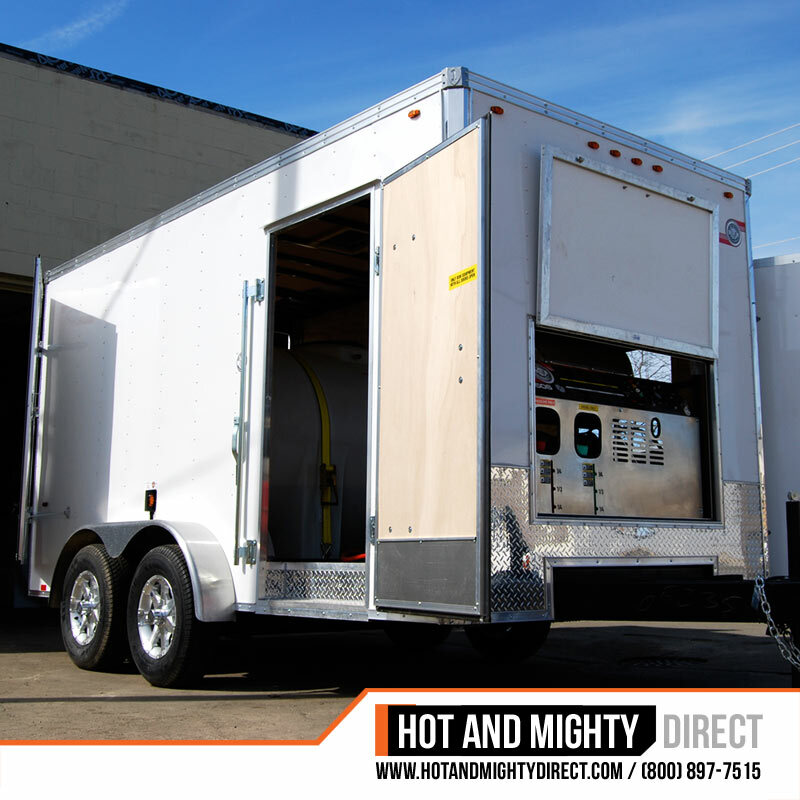 We can custom up fit a mobile pressure washer trailer to fit a custom rack, or install custom internal heating elements so your equipment performs in extremely cold weather. 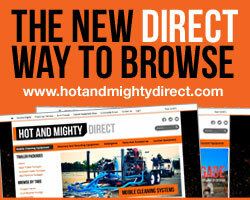 From custom build water blasters to reclamation and recycling systems are attention is exceeding your expectations. We know cleaning, because we live it. Having worked in the industrial cleaning industry for over 30 years we know what it takes to make a business successful and we strive to provide quality equipment to make your job easier. Our build process can be broken down into three simple steps. 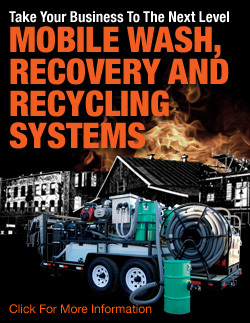 First, identify what type of wash equipment you will need. What is its primary application? Do you need more water flow or higher pressure and heat? We have a full spectrum of pressure washers and water blasters available. If you need a specific pressure and water flow rating you do not see here call us and we can provide information on how we can meet your needs. The second step is to determine the type of trailer style fits your requirements. 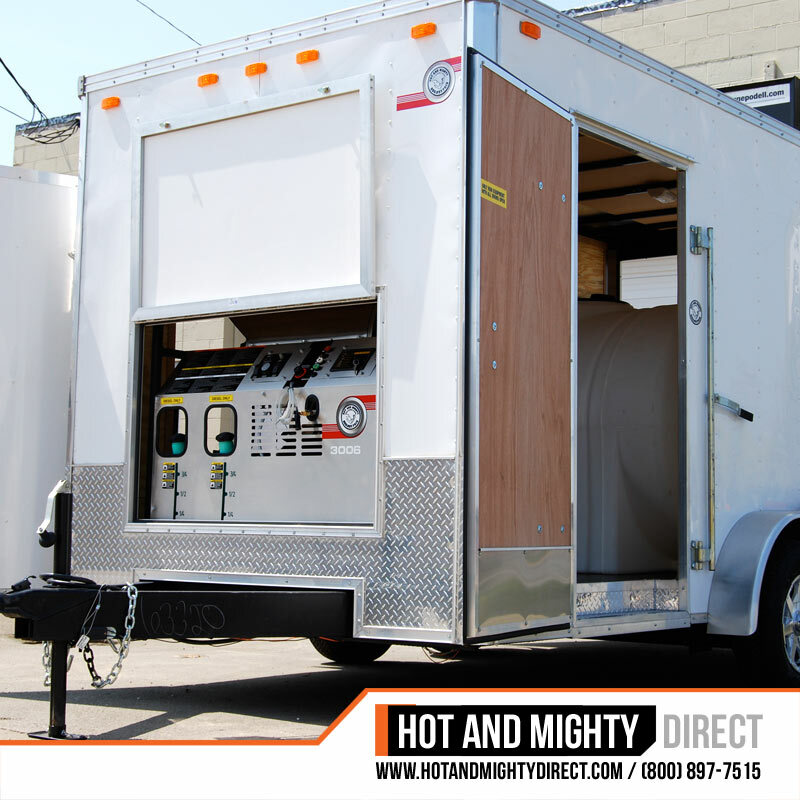 Open trailers are great for warmer, dry climates and for accessibility to your equipment. 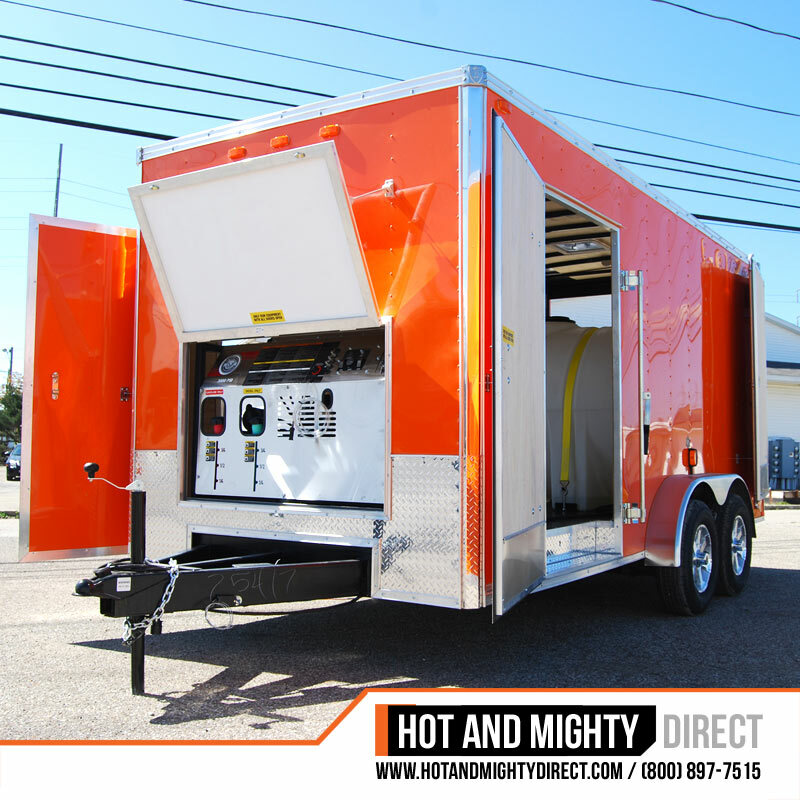 Enclosed pressure washer trailer units are great for protecting your equipment from the elements and keeps your gear protected during storage. 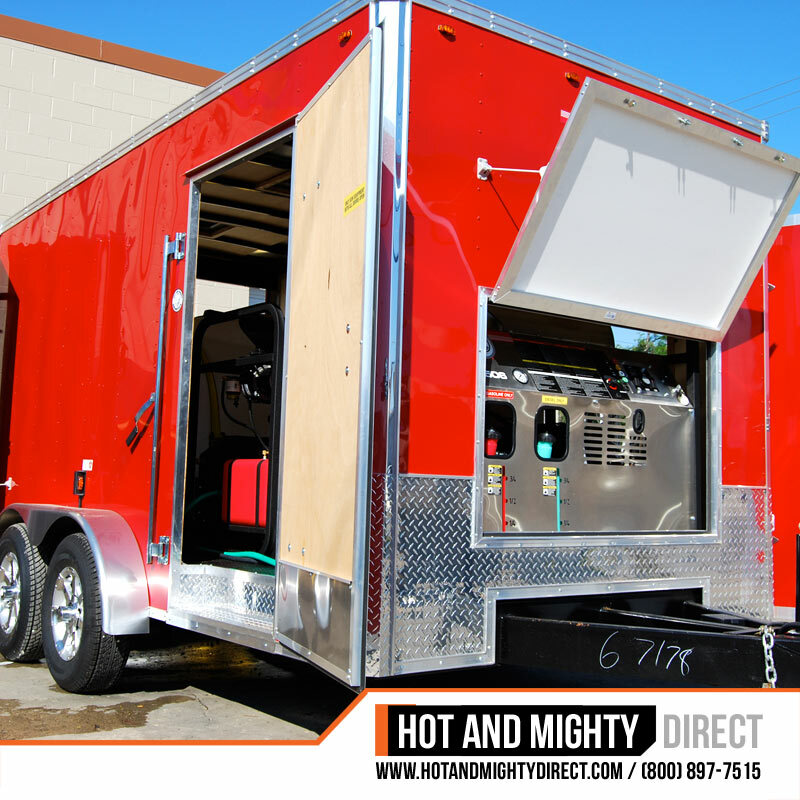 Enclosed trailers have the added feature of being rolling billboards for your brand. Finally, let us know how we can custom up fit your cleaning unit. Does your specific industry require reclamation and recycling equipment? Do you need internal trailer heating elements? With so many options and accessories available please call with questions and let one of our qualified technicians walk you through the whole process.